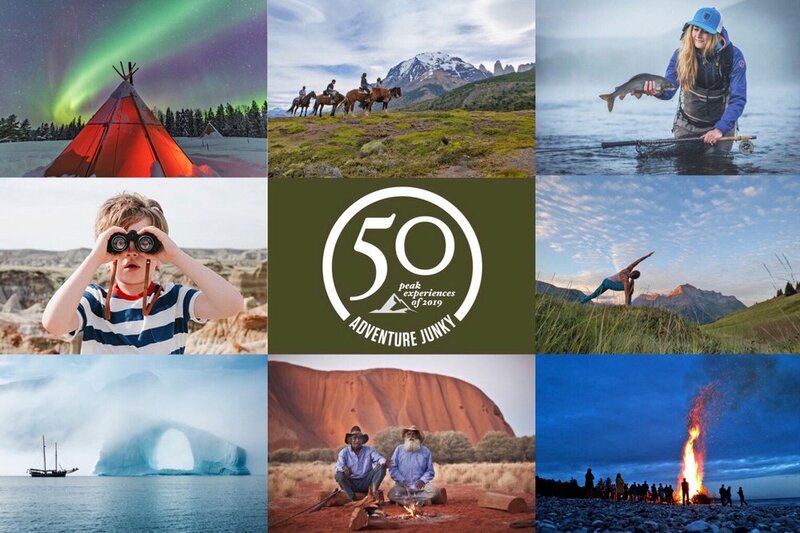 Eco-traveller app - Adventure Junky - today announced its ’50 Peak experiences of 2019’. Curated by Adventure Junky co-founders Nigel Malone and Fuchsia Sims, the list is their take on the coolest, greenest travel experiences on the planet. ADVENTURE JUNKY APP: A GAME - CHANGER FOR THE TRAVEL INDUSTRY. But there is more to Adventure Junky than just fun and games. The team behind the idea bring a diversity of experience, ranging from helping troubled youth turn their lives around through adventure in the jungles of Costa Rica, working with remote indigenous communities to develop self-sufficiency through cultural tourism, developing brand strategies for World Heritage Sites and advising corporations on how to become carbon neutral. In response to this challenge Adventure Junky established a set of guidelines, with help from the Adventure Travel Trade Association, by which adventures would be selected to appear on App. In simple terms adventures must be ’high’ on experience and ‘low’ on impact if they are to make the cut. By turning ‘sustainable travel’ into a game that everyone loves to play, Adventure aims to ensure sustainability, just as much as experience is the new standard in travel. the leading role in shaping the travel industry for decades to come. The game aspects (points, patches, leaderboads) of the Adventure Junky App tap directly into the Millennial’s competitive spirit, keeping them coming back to the app and achieving their travel goals - you could say addicted. It also harnesses their love of sharing the experiences that define their lives, and invites them to become co-creators of the game. Over half of the 1,000+ adventures added to the app during the late 2016 testing phase were user-generated. For the travel marketer, Adventure Junky represents an innovative new social platform, designed to capture and hold the attention of today’s traveller, in spite of the infinite number of choices at our fingertips. With Chairman John Morse AM, ex head of Tourism Australia, overseeing governance and mentoring the Management team, not since AirBnB has there been a startup with the potential, concept, strategy and backing to reinvent the way the world travels. Adventure Junky currently partners with Tourism Board partners from Australia, Sweden, Greenland and Canada, and many of the world’s best-practice tour operators in its mission. Adventure Junky is currently extending a limited number of additional partnership invitations to both Destination Marketers and Tour Operators. Interested parties should start a conversation by contacting either of the Directors listed below.